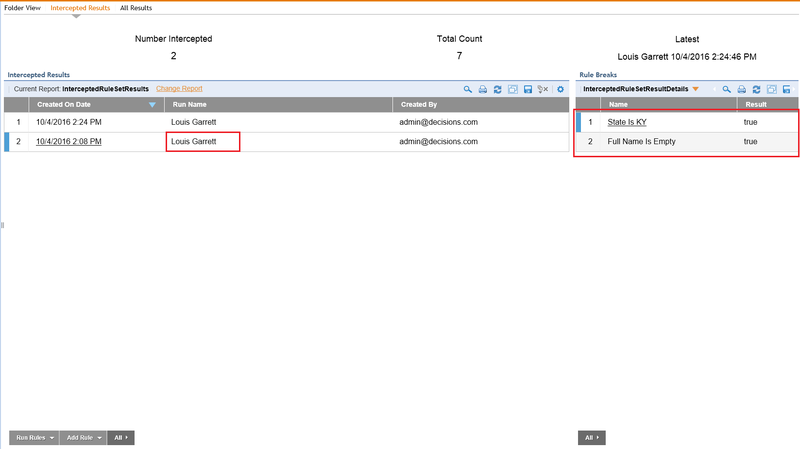 This tutorial demonstrates how to rerun Interception Rules on Intercepted Data	in Decisions 4.0. Note: to setup environment for this tutorial please follow	***‘Setting Up Interceptor Pattern’***	and ‘Creating Rules From Intercepted Data’ documents. After we have our Interceptor Pattern set, intercepted data is stored in Rule Set Results Folder	. 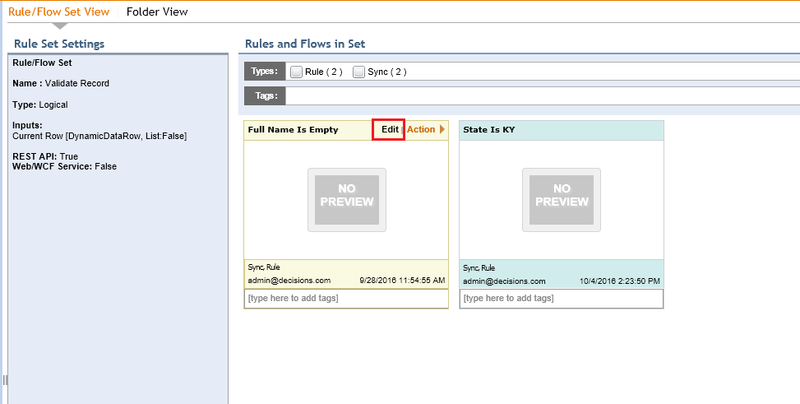 When we create or delete Rules in Interceptor Pattern we can rerun updated Rule Set against either one Instance of the Process or against All Intercepted Data. In this example we are going to demonstrate how to rerun changed Interceptor Rules	against Intercepted Data. 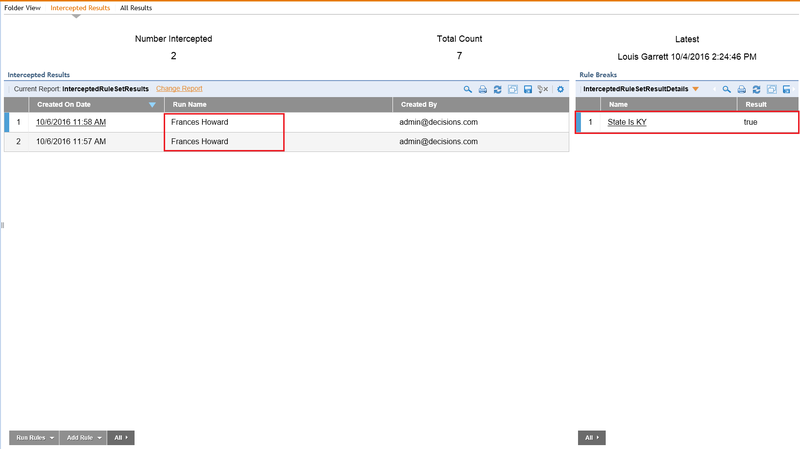 In our Rule Set Results Folder	located in Rule Set Folder	we have two Instances of Intercepted Data	. First Instance was intercepted breaking only one Rule : Full Name Is Empty	. Then, State Is KY	Interceptor Rule was added to the Rule Set . Process Flow was ran again and second Intercepted Data	broke two Rules : Full Name Is Empty	and State Is KY.
On Intercepted Results Report	we select Intercepted Data that breaks only one Rule (Full Name Is Empty) . 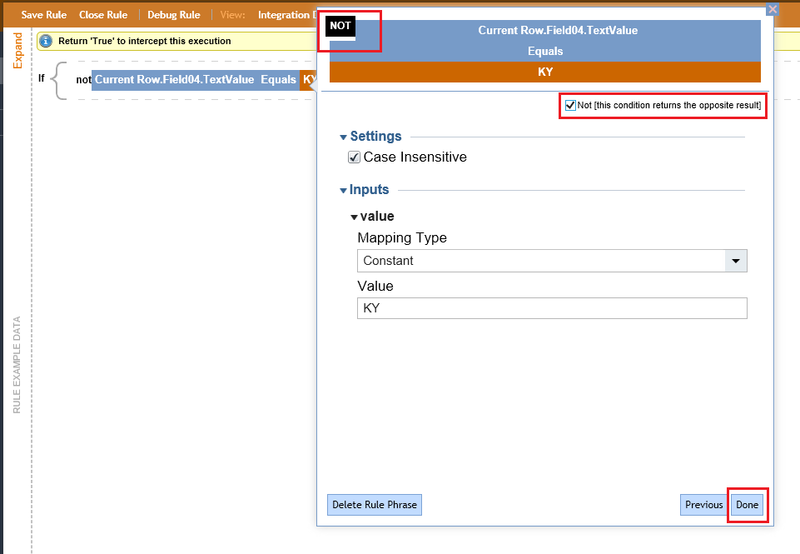 Then, we click Run Rules > This Instance	on Folder Actions Panel . This Action reruns our Rule Set against selected Intercepted Data. Now, we should be able to see that our second Record is intercepted for two reasons: Full Name Is Empty	and State Is KY.
Next, we are going to modify our Rules in a Rule Set . In a Rule Set Folder	we locate a thumbnail for Full Name Is Empty	Interceptor Rule and click Edit	on thumbnail Menu . 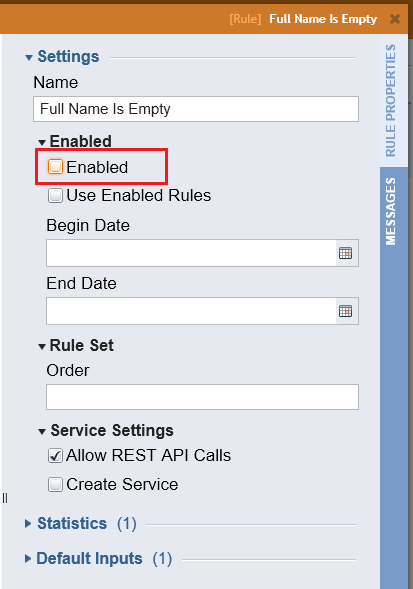 In the Rule Designer we locate Enabled	Settings and uncheck Enabled	check-box. This disables the Rule . We save the Rule and close Rule Designer. Then, we Edit State Is KY	Interceptor Rule. In the Rule Designer we add Not	to our Rule Phrase. Now this Rule will be intercepting Records where State	field in not	KY . We save the Rule and close Rule Designer. 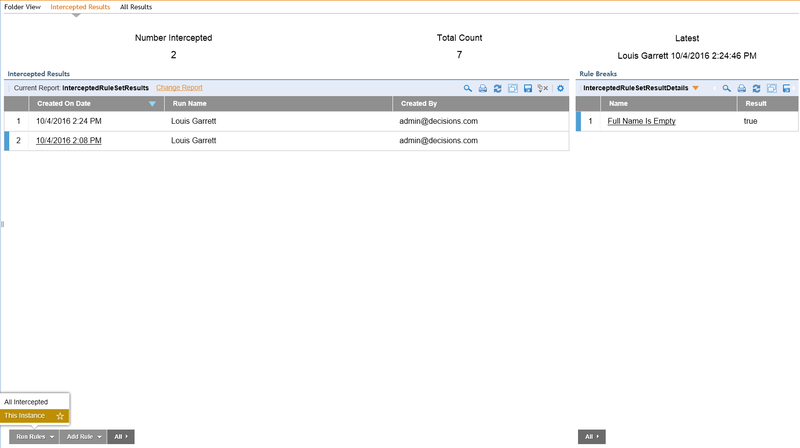 Next, we navigate to the Rule Set Results Folder	and on the Folder Actions Panel we click Run Rules > All Intercepted	. This Actions will run our modified Rule Set against all Intercepted Data instances. Because we changed our State Is KY	Rule and disabled Full Name Is Empty Rule	, our Intercepted data releases and next Record where State	Is	not KY	is intercepted.